The researchers developed a model where socioeconomic attributes can be inferred from cars detected from Google Street View images. Combining publicly available data from Google Street View with machine-learning methods, researchers have found a way to predict the voting behaviour of people in the US. If the number of sedans in a city is higher than the number of pickup trucks, that city is likely to vote for a Democrat in the next presidential election (88 percent chance), showed the study published in the journal Proceedings of the National Academy of Sciences. Otherwise, the city is likely to vote for a Republican (82 percent chance), the study said. Using machine learning, an approach to Artificial Intelligence (AI) in which computers "learn", the researchers developed a model that showed that socioeconomic attributes such as income, education, and voting patterns can be inferred from cars detected in Google Street View images. "Our model works by discovering associations between cars and people," the study said. 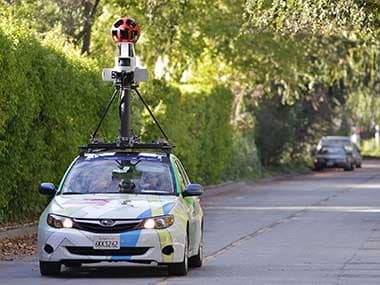 In the study led by Timnit Gebru of Stanford University, the researchers presented a method that estimates socioeconomic characteristics of regions spanning 200 US cities by using 50 million images of street scenes gathered with Google Street View cars. In order to get their AI algorithms to classify cars accurately, the researchers trained it by recruiting hundreds of people to identify vehicles in a sample of millions of pictures, TechCrunch reported on2 January. The researchers determined the make, model and year of all motor vehicles encountered in particular neighbourhoods. Data from this census of motor vehicles, which enumerated 22 million automobiles in total (eight percent of all automobiles in the US), were used to accurately estimate income, race, education, and voting patterns. The results showed that the number of sedans and pickup trucks encountered during a drive through a city could reveal how the city would vote in the next presidential election. To confirm the accuracy of their voter preference estimates, the researchers compared them with the voting results of the 2008 presidential election. The researchers found that the results confirmed the ability of their approach to accurately estimate voter behaviour. The team believes that their technology can supplement the American Community Survey, which is a door-to-door study and costs more than $250 million each year to perform. Automated data analysis may become a practical supplement to the survey, the researchers said.